In order to keep things on the cheap, I have to be sure I am using all my ingredients. I hate throwing away good food, so that means I have to sometimes research whether food is still good to eat: such as when I questioned the sell-by date on packaged chicken and looked into the expiration of opened can of Spam. Lately, I’ve been in a low-carb/high-protein kick, so I’ve been going into my freezer for some frozen meat I bought a few months ago. Some of these meats have been properly stored and some haven’t. All the meat that haven’t been tightly secured has freezer burn. I am pretty certain that freezer burn doesn’t impact the safety of the meat, it’s still frozen after all, but I wanted to be sure that one could still eat meat with freezer burn. So, Is It Okay to Eat Freezer Burned Meat? The short answer is yes, you can eat freezer burnt meat! Without getting too technical, freezer burned meat poses no food safety threat and if cooked properly, isn’t bad for you, won’t make you sick and is safe to eat. Though the meat may be discolored, it’s perfectly okay to cook and eat freezer burned meat. This goes for all types of meat with freezer burn: chicken with freezer burn, freezer burned ground beef, lamb, pork, ribs, etc. — you name it. Freezer burned meat just lowers the overall quality of the meat (nutrients, taste, health benefits) but you’re in no risk for illness solely from freezer burn. 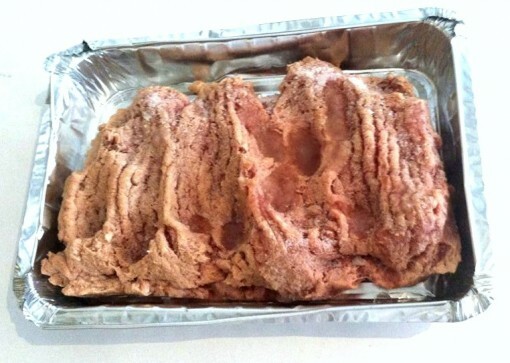 Freezer burn does not make food unsafe, merely dry in spots. It appears as grayish-brown leathery spots and is caused by air coming in contact with the surface of the food. The meat may have a grayish color in certain sections. Although freezer-burned meat may not appear appetizing, you can safely cook it without the risk of food-borne illnesses. Wikipedia says it’s okay, too! Freezer burn is not a food safety risk. It appears as grayish-brown leathery spots on frozen food, and occurs when air reaches the food’s surface and dries the product. This can happen when food is not securely wrapped in air-tight packaging. Color changes result from chemical changes in the food’s pigment. Although undesirable, freezer burn does not make the food unsafe. It merely causes dry spots in foods. Freezer burn is caused by air reaching the surface of foods that are frozen for a long time, or not wrapped or sealed properly before freezing. The product is still safe to eat, but cut away the freezer-burned portions because they will be dried out and tasteless. If you take away anything from this post today, here’s what you need to know: freezer burn is not a food safety risk. You will not die nor get food poisoning from eating food that is or was freezer burned. It may not be the most fresh-looking or prettiest piece of meat you’ve ever come across, but meat that has freezer burn, no matter how bad it looks, is okay to eat. So enjoy eating your freezer burned chicken drumsticks or ground meat (just cook it properly!). How long will Spam last after opening the can? How long is chicken good for after sell by date? Is it expired? How long does frozen milk last for? Does it go bad?